The software allows to remove all types of restrictions like printing/copying/editing/extracting text from a PDF File. Multiple PDF files having the common restrictions can be processed at once i.e. restrictions can be removed from all the files in a single go using the Business or Enterprise license of the tool. No changes will be made to the formatting or the attachments of the PDF files while unlocking or saving the file, thus mainataining the integrity of the files. The file permissions of the PDF file are listed immediately as the PDF File is loaded. Afteer the PDF File is unlocked , the permission status previes changes accordingly. The tool can be used to remove any password that has been set up in a PDF File either it be tha owner level password or the user level password. To save the PDF file after unlocking , you can choose a location of your choice or create a new folder to save the files. Some PDF documents are prevented from the users for editing, copying, pasting or printing it's contents by the PDF author and this action will effectively render certain functions to be completely disabled within the PDF files. PDF Unlocker is perfect solution to easily remove PDF document restrictions. 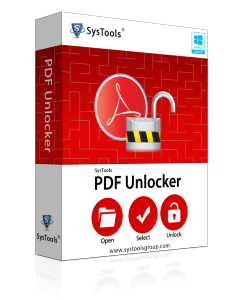 PDF Unlocker software is a user friendly PDF restriction removal tool to unlock password protected PDF files for Editing, Copying, Printing & Extracting PDF restrictions. Does the software require installation of Adobe Acrobat? No, Adobe Acrobat installation is not required to remove the security of PDF file. Is your software compatible with Mac operating system? Will this tool supports corrupted password-protected PDF files? Will software unlock multiple PDF files at a time, if I am using single user license? No, for processing multiple PDF files at a specific time, you need to purchase Business or Enterprise License of PDF unlocked software. 1. I have used this tool and its gave me an awesome response. It enables me to do further task such as printing, editing, and extracting text. Thanks for such type of utility. I will recommend it to all my friends and relatives to recover the PDF file restriction with your product, if they need. 2. On the behalf of my personal experience, I would like to share my views on this application. PDF Restriction remover tool is very flexible and while unlocking & saving a PDF file, this software will maintains the file integrity. It will keep the attachments and other formatting intact of the respective document. 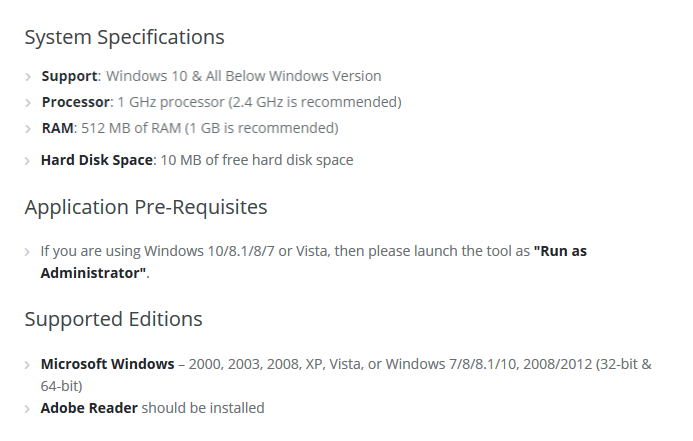 This tool is compatible with all Windows versions i.e., Window 10 and all below versions.